We have determined that some EF50mm f/1.4 USM lenses exhibit a focus operation-related malfunction. The details of the phenomenon and Canon's service policy are described below. 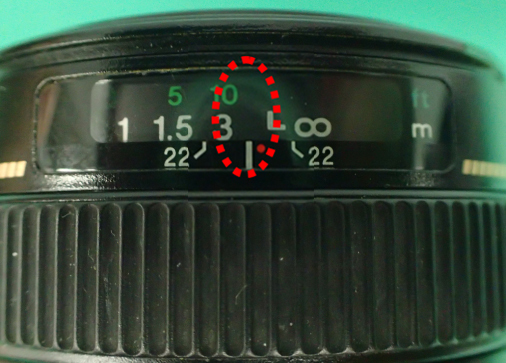 While in AF or MF mode, when the focus position is moved from the infinity end to the close-up end, the focus operation stops near the area shown in the dotted circle below. 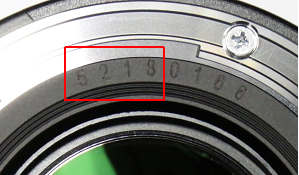 If the first four digits (from the left) in the serial number on the lens body (see image below) are "4918", "5018", "5118", "5218", "5318", "5418", "5119", "5219", "5319", or "5419" then your lens may possibly be affected. If your lens is affected, support will be provided free-of-charge regardless of the warranty status. Please note that even if your lens is affected, inspection/repairs for any issue other than the above phenomenon will be handled as normal repairs. If you wish to make a request for support for this issue, please attach the lens cap and dust cap to the lens and bring in/send us the lens body only. Please contact your nearest service center on the availability date for servicing.